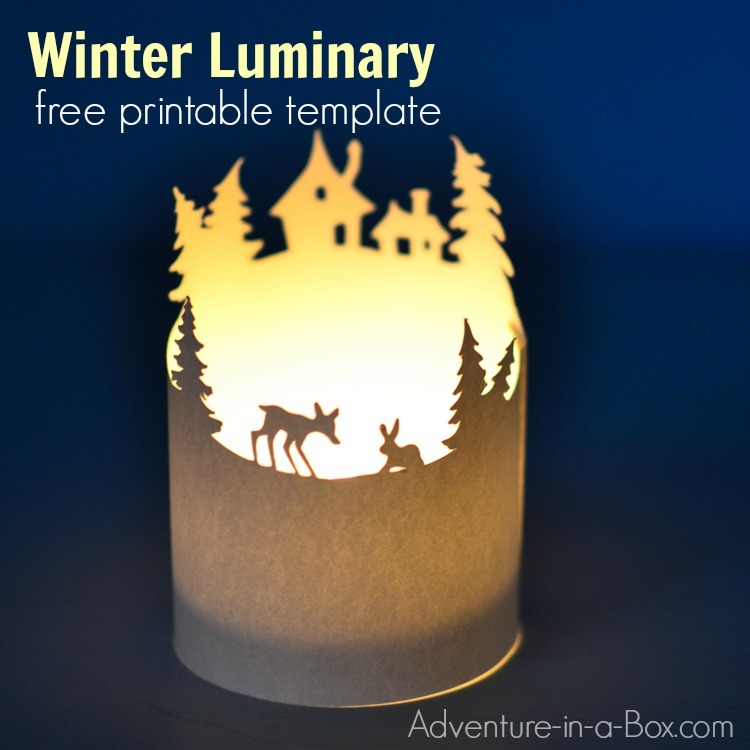 With this free printable template, you can make a simple winter luminary in minutes! And once you put a light inside, it glows with simple charm. I’ve always wanted to try making a simple luminary by turning a piece of paper into a ring and making a decorative cut along the top. Winter luminary seemed like a good theme since white paper would work nicely for a snowy landscape. Add to it deer and a rabbit, playing in the snow, a couple of houses and a few trees, and this is the paper luminary I made to decorate our window in the winter months. Glue it into a ring. Insert an LED tea light in the center. Do not try to use a traditional candle – since this luminary is made of paper, it is very flammable. Of course, it may be fun to make your own design! In that case, make sure that the ends of the design are at the same level and leave space for gluing. The design is simple enough that you can cut it by hand from a free printable template. 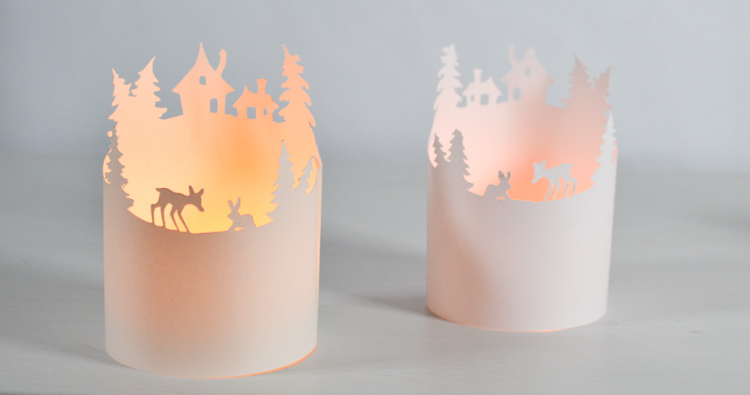 If you have a die-cutting machine (Silhouette or Cricut), you might be interested in our Christmas Silhouette Bundle. It includes 15 crafts and over 60 designs, including this one, as black PNG designs, which you can import into your program. Cute Christmas gift for my teaching colleagues. Thank you!